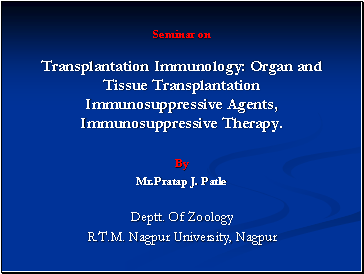 Seminar on Transplantation Immunology: Organ and Tissue Transplantation Immunosuppressive Agents, Immunosuppressive Therapy. 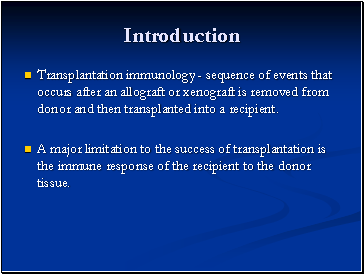 Transplantation immunology - sequence of events that occurs after an allograft or xenograft is removed from donor and then transplanted into a recipient. 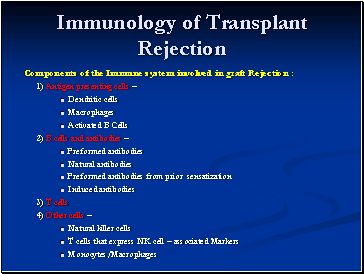 A major limitation to the success of transplantation is the immune response of the recipient to the donor tissue. 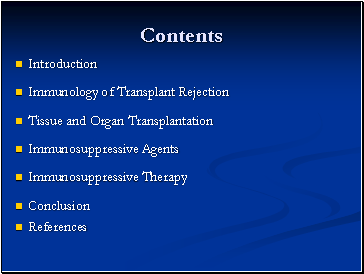 Autograft is self-tissue transferred from one body site to another in the same individual. 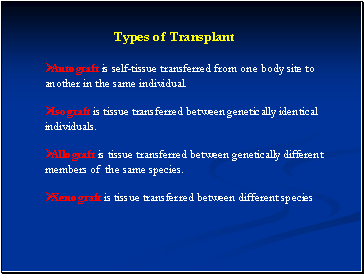 Isograft is tissue transferred between genetically identical individuals. Allograft is tissue transferred between genetically different members of the same species. 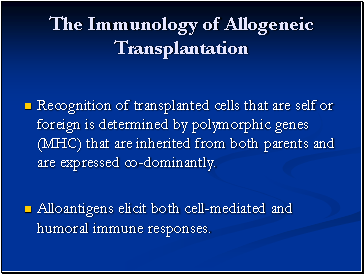 Recognition of transplanted cells that are self or foreign is determined by polymorphic genes (MHC) that are inherited from both parents and are expressed co-dominantly. 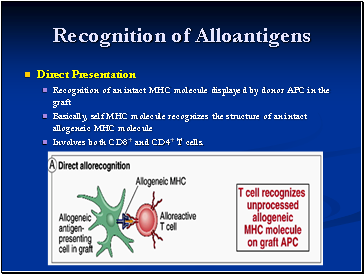 Alloantigens elicit both cell-mediated and humoral immune responses. 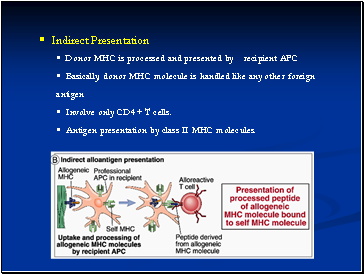 Involves both CD8+ and CD4+ T cells.